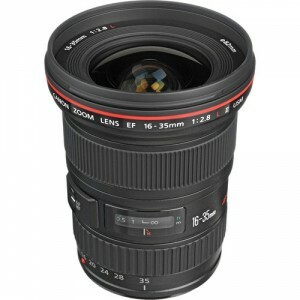 The Canon EF 16-35mm f/2.8L II USM is an ultra wide angle zoom lens for Canon Full Frame DSLR cameras. It has a constant f/2.8 aperture throughout the entire zoom range. Having an f/2.8 aperture opens up great possibilities when shooting in low light such as in a dimly lit wedding ceremony. 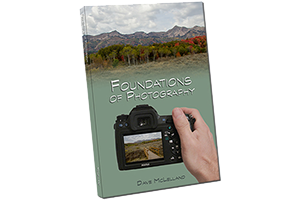 Many people associate this lens for landscapes, however, most landscapes are shot at f/8 and smaller apertures. This is done for greater depth of field. Unless you are looking to isolate a nearby foreground object, shallow depth of field is not easy with an ultra wide angle lens. I have not formally tested the Canon EF 16-35mm f/2.8L II USM lens. However, I have used this lens briefly and overall I was impressed. If you need f/2.8 for low-light images on a full frame camera, this is the lens to get. Since most of what I do requires me to stop down the aperture for maximum depth of field, I prefer the f/4 version of this lens. The f/4 version loses a stop of light but gains images stabilization. For the budget oriented user the EF 17-40mm f/4L USM is one of the best values in ultra wide angle zoom lenses. You lose a stop of light and don’t get image stabilization, but it costs significantly less than the 16-35mm f/2.8 lens. Overall this lens rates very highly with it’s owners and users. Although it is rather expensive, it is a case of you get what you pay for. The Canon EF 16-35mm f/2.8L II USM delivers excellent image quality and a fast f/2.8 max aperture, both of which are expensive and difficult to engineer. The image quality is also very good for an ultra wide angle lens. Ultra wide zoom lenses ar very difficult to design since they take in such a wide angle of view. Canon has done a great job on this lens. The lens features Canon’s USM focusing system which means the lens focuses extremely quiet and very fast. Focus accuracy is not a problem for this lens, but that is also due to its wide angle. Depth of field is usually deep enough, even at 16mm and f/2.8 at normal distances to hide any inaccuracies. As to be expected on a Canon L series lens, the build quality is excellent. The body feels nice and solid, and the zoom and focus rings are nicely damped. The lens does feature a focus distance scale with an infrared focus mark as well. Like most zoom lenses it does not featur Hyperfocal distance markings. The lens does not have image stabilization, but if you find yourself shooting in low light, the f/2.8 constant aperture really helps. The 82mm filter size is quite large, the original version of this lens had a 77mm filter ring which made a great match for the then classic f/2.8 trio, the 16-35mm, 24-70mm and 70-200mm. Of course the newer 24-70mm also has an 82mm filter ring, but the 70-200mm still has a 77mm. I really wish that lens manufacturers could stick to a single filter size for a matched set of lenses. If you need an ultra wide lens that is fast, then the Canon EF 16-35mm f/2.8 II USM lens is the lens for you. It is very well built, fast and quiet autofocus, and provides excellent image quality, even wide open. based on 1442 user reviews online.